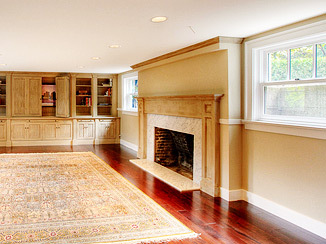 There are many rules and regulations that apply to creating living space in basements. We have summarised these here with aim to give you clear and definitive answers to your planning queries on Basements. If you are converting an existing basement or cellar into living space, without any exterior alterations, you are most likely not require planning permission. However If the basement is going to be used as a separate unit of residential accommodation it will require full Planning Permission. Similarly, if you intend to incorporate a light well into the design, you will definitely need planning permission as it alters the external appearance of the property. If you intend to carry out major excavation work to create a new basement, you are likely to require planning permission. This is because you will need to incorporate a light well/wells into the design (Building Regulations) which will demand that you excavate beyond the outline of the existing house to create a light well/wells, thereby requiring Planning Permission. The basement planning permission stipulations are consistently evolving and being put under an extensive review. The question concerning do I need planning permission for a basement can be answered in two separate ways, both yes and no. Permissions will be needed if you are planning on excavating a piece of land to create a basement, or if you are going to be changing a light well that will cause you to alter the external integrity of a building. Basically, anything that requires an alteration of the external surface or appearance of the home will require some type of planning permission. However, if the basement is being converted into a living space, but already exists, then you will most likely not require planning permission to make the alterations that you are interested in making. The best thing you can do before making any alterations to an existing basement or planning to excavate to create a basement is to consult with basement planning permission consultants. During basement conversions, all regular building regulations will apply. The regulations will review over ventilation of the area, fire escape routes from the area, the height of the ceiling, electrical wiring, damp proofing to prevent mold buildup, as well as water supplies.